Arjuna Wholefoods is a workers’ co-operative in Cambridge fully and equally owned by those who work here. The person standing behind the till may also be a buyer, the company secretary or accountant. As a socially concerned business we donate a percentage of our profits and goods in kind to local charities and community groups. We produce artisan and ethical food. We can provide vegetarian and vegan catering for events large or small from weddings to business lunches and celebration cakes. Other allergies also happily catered for, contact us to discuss. We can cater for all types of events, from small dinner parties or family lunches to large gatherings, outdoor and corporate events. Let our talented chef Alice Kabala design a custom menu for you. Taste of Cambridge is a unique, family run, vegetarian/vegan eatery, proudly serving delicious fresh falafel wraps, seasonal salads, soups and delicious treats for those with a sweet tooth! And you're always welcome to try before you buy! Whether you'd like to place an order in advance, make a special request, or talk to us about outside catering, we'd love to hear from you! Taste of Cambridge can also provide you with wholesale orders of falafel balls - for events or businesses. Vegetarian Mediterranean festival and event catering. Vegeteria specialize in authentic vegetarian Mediterranean cuisine made using fresh produce and high quality ingredients. Our signature dish is our organic Falafel which is freshly cooked and served in a large pitta bread with homemade houmous ,a variety of salads and tasty sauces. Fresh home made vegetarian falafel and mixed salads, plus hummus, tahini sauce and spicy sauce. We have a regular market stall in Market Square and we are also available to cater at private and public events. Whether you are having a wedding, social gathering, a business lunch or even a memorial, we can offer you a delicious spread to keep everyone happy. So get in touch to see if we can make your event go down a storm with some tasty nosh that will satisfy even your meat eating friends. From canapes and cold buffets to sit down meals and themed menus we can cover it all. I offer custom raw food catering for parties and dinners, for delicious meals delivered right to your door. 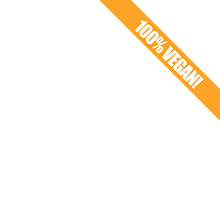 Everything is 100% raw, dairy-free, gluten-free, meat-free and vegan. You can choose from a wide range of dishes, with or without a theme. You can have Indian, Mexican, Thai, Chinese, Italian, American… or a combination! The Wandering Yak is an award winning streetfood van in Cambridge, with a focus on serious flavour and nourishing plants and grains. We serve food at lunchtime food markets, weddings, private events, corporate events, festivals and parties. Our food is all lovingly hand-made, with a focus on plant-based flavour and healthy stuff. Our unique food, professional approach and striking van mean you can rely on us to feed your guests in style and help your event be one to remember. From 30 to 300 guests, we can cater for your particular event, with menus and service tailored to your exact requirements. I'm a Cambridge based nutritionist combining vast nutritional knowledge with exceptional culinary skills who also caters for parties, events and corporate functions specialising in vegan and vegetarian food. Based in the historic market town of Bury St Edmunds in the beautiful Suffolk countryside, Lizzi hand makes vegetarian and vegan goodies ready to sell to hungry customers at local markets, farmers markets and events. Savoury and sweet treats, including the award nominated vegan scotchless egg.